The InnSep stand has generated significant amounts of attention, together with the nomination of the innovation award at ONS. 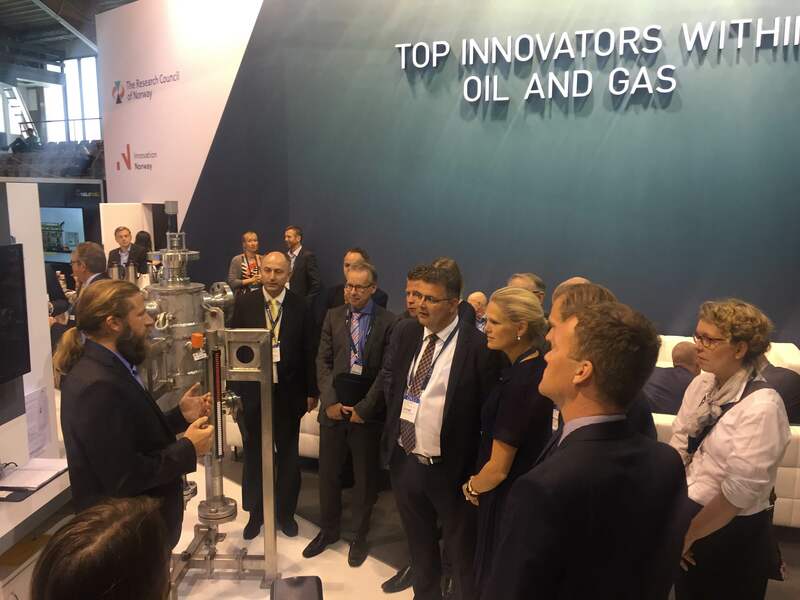 Several international government officials were interested in the innovation process that is capable of lifting research from fundamental discoveries to applied science such as InnSep Lynx scrubber. For the upcoming Joint Industry Project we are still considering partnerships, we may plan with multiple field installes tailored to each participating operator. Visit us at Stand 850 in Hall 8 at ONS for more information and a demonstration of our prototype. The Lynx 250 gas/liquid separator performed as expected, confirming the efficiency and K-factor up to 90 bar. Test series were performed with variations in gas/liquid ratios and flow speeds at the Statoil High Pressure test facilities at Rotvoll, Trondheim, in Norway. 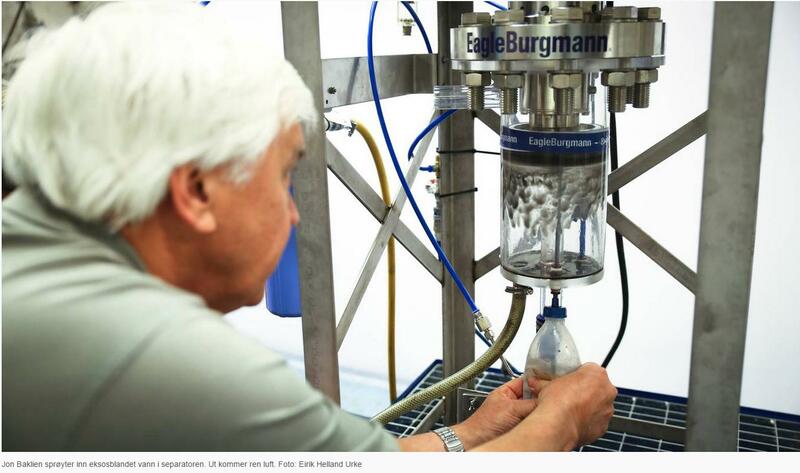 The liquid ratios were tested from smallest amount to the maximum amount possible within the rig capacity. 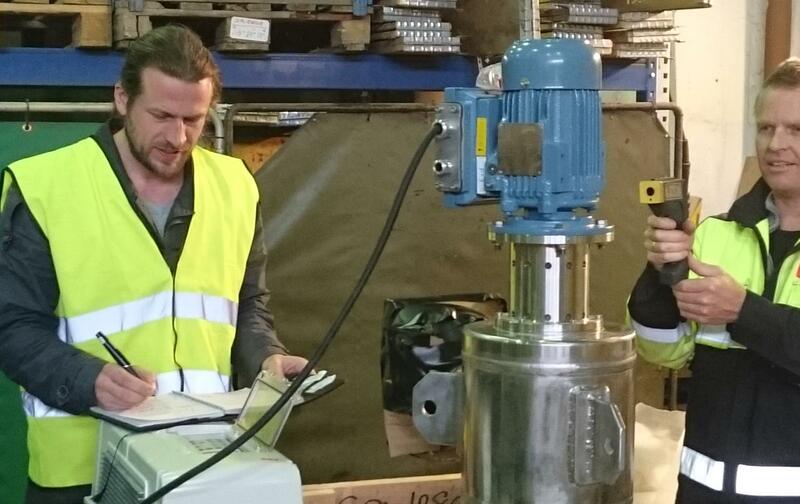 Sondre Jacobsen (InnSep AS) and Geir Høgstad (H-Tech) performing the final calibrations of the Lynx 250 gas/liquid separator before installation at the Statoil Rotvoll high pressure testing facility. The results confirmed that the basic Lynx design is extremely compact and handles variations in both flow rates and liquid volume percentages of gas. One impressive aspect was how little the increased pressure affected the overall efficiency of the Lynx. Conventional gas/liquid separator steadily decrease in efficiency and capacity as pressure rises. The Lynx qualified at less than a third of this reduction. This is a major milestone, confirming that our scientific calculations are on par. Together with the PED certification, the compact Lynx 250 is ready to complete the final steps of the Technology Readyness Levels. This is scheduled for Q1-2017 in a multi-client JIP in collaboration with the Norwegian Research Council and the DEMO 2000 program. Operators that have challenges in one or more of these situations and require elimination of carry-over can contact InnSep directly, or visit our demonstration stand at ONS in Stavanger from 29th August to 1st September 2016. Deadline for confirmation of participation in the InnSep DEMO2000 JIP is October 1st 2016. 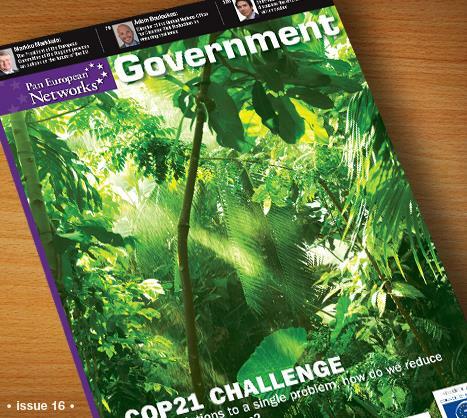 The Pan European Networks publications provide relevant and up to date information for the use of the European Commission and all government agencies and departments across the continent of Europe. In the Government section, issue no. 16 published today, a section is dedicated to clean transport and maritime affairs, considering issues such as the blue Economy, reducing the environmental impact of shipping and the future of the shipping sector. Given the critical link that shipping plays in the growth of the global economy, Pan European Networks adresses the environmental and market concerns in this issue. InnSep is profiled with the Lynx solution for cleaning exhaust fumes from ships under the title «Ships exhaust gas separation» on page 185. 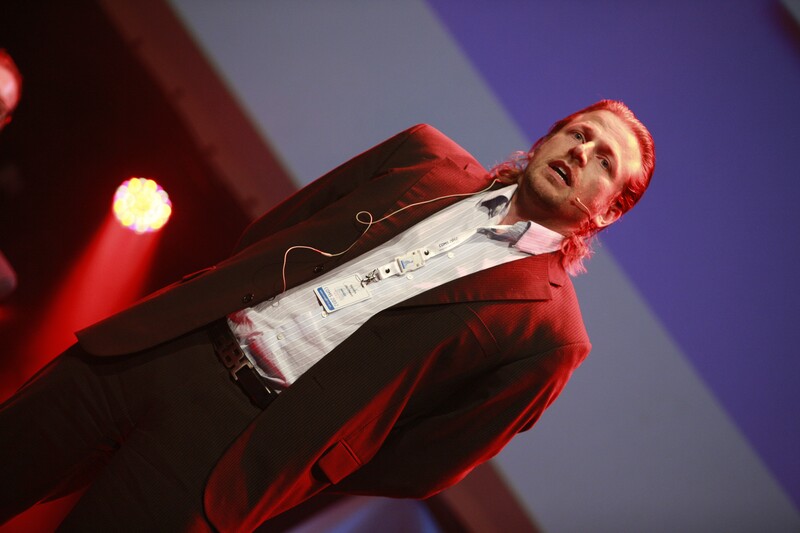 In addition, InnSep CEO Sondre K. Jacobsen in collaboration with the Norwegian University of Science and Technology has written an editorial on how the university is working to bridge the gap between research and commercialization with the title «Building a foundation«. This is a great recognition of how the cutting edge science and fundamental research of NTNU and the department of Energy and Process Engineering can be transformed into commercially viable business that benefits both society, environment and industry. 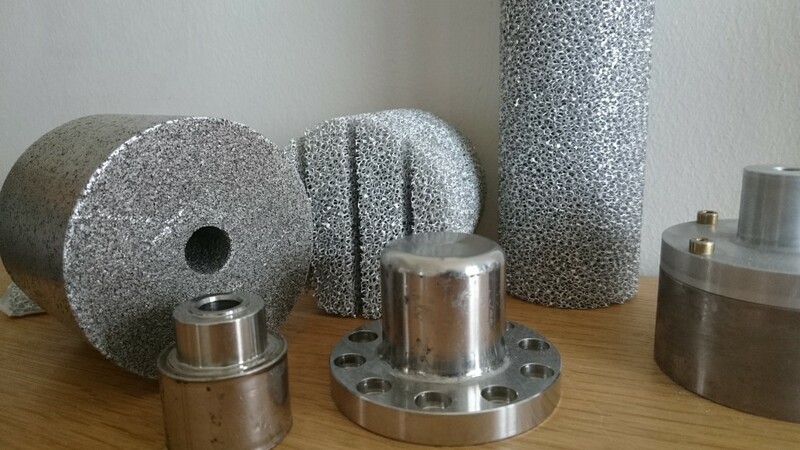 The journalist interviewed Jon Baklien, Technical Manager at EagleBurgmann Norway and one of the team of engineers responsible for incorporating the Lynx technology into the EagleBurgmann portfolio of protection systems for the dry gas seals. During the interview, the journalist was given a world first demonstration of the capacity for separation of exhaust gases in liquid. The Lynx system dynamic and flexible with the same basic design being used for all purposes, from large liquid amounts to the smallest possible. At about 50 seconds into the video on top of the article, Jon inserts liquidized exhaust into the Lynx Dry Gas Seal Protection separator prototype that was designed for extremely small liquid amounts. 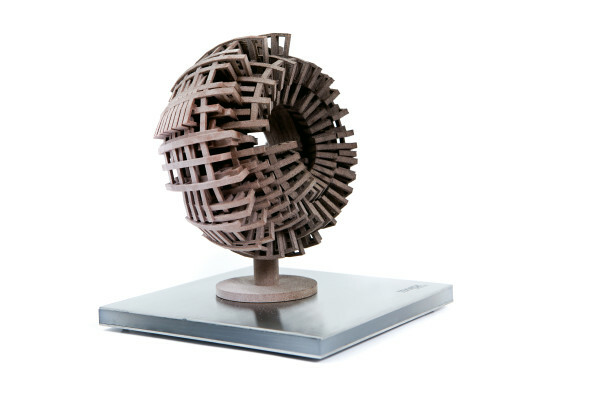 InnSep AS announces collaboration with Additive Technologies AS in Trondheim to produce advanced parts of the Lynx prototype. 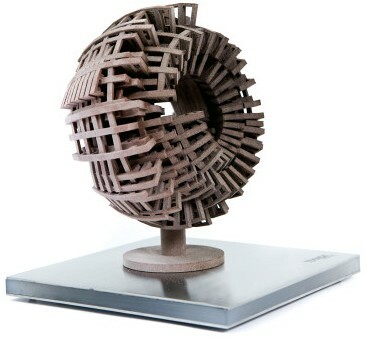 Additive Technologies have pioneered a groundbreaking 3D metal printing and machining process that can manufacture details that have been impossible to provide through standard production and standard 3D metal printing. This will enable InnSep R&D to explore previously «impossible» opportunities regarding separation. 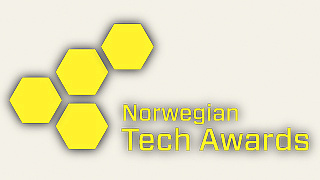 The collaboration is supported with funding from the Norwegian Research Council. Testing of first prototypes will commence summer 2015. 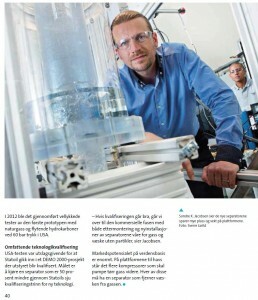 The publication Århundrets teknologiløft describes this centuries most successful technology commercialisations in the Norwegian Oil and Gas industry that have been funded The Norwegian Research Council’s DEMO 2000 program.The Lynx Scrubber/Separator developed by InnSep at NTNU was recently profiled in the publication. http://innsep.com/wp-content/uploads/ScreenShot145.jpg 865 1805 Sondre Jacobsen http://innsep.com/wp-content/uploads/innsep_logo-300x213.gif Sondre Jacobsen2014-09-18 21:16:042014-09-23 10:47:12Lynx Scrubber technology profiled in NRC's DEMO 2000 publication "Technology Efforts of the Century"
We have a channel on YouTube dedicated for videos of InnSep that explains the Lynx Separator technology and how it solves processing challenges. The videos are subtitled, it is possible to choose subtitle in the menu of the player. 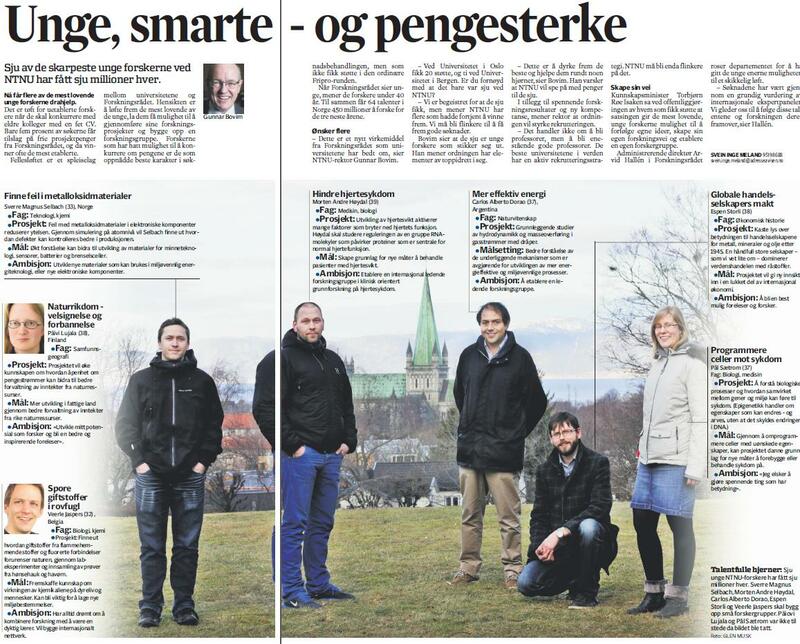 Our CTO, Professor Carlos Dorao, was new profiled in the Norwegian newspaper Adresseavisen 12.02.2014. 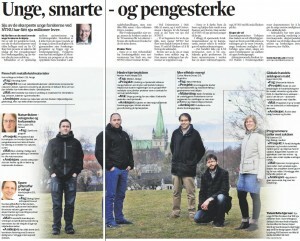 The article profiles the researchers regarded as the «sharpest minds» in the Norwegian research community. 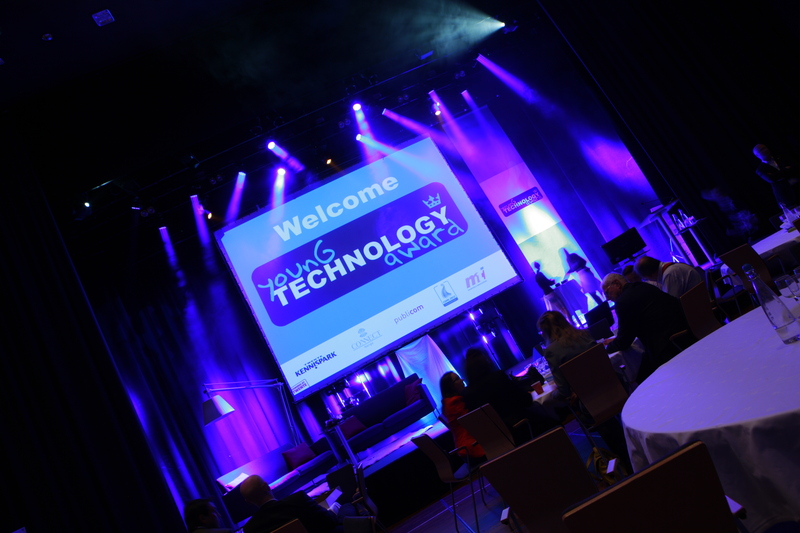 InnSep was nominated to 2012 COMS Young Technology Award when the event was held in Norway.